MFA, author of Dancing in the Santa Ana Winds: Poems y Cuentos New and Selected (Los Nietos Press). 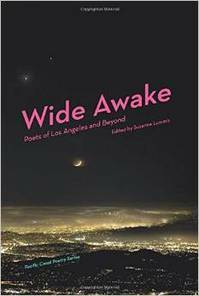 Ms. González’s work has appeared in Voices from Leimert Park Anthology Redux; Wide Awake: The Poets of Los Angeles and Beyond; and the San Francisco Chronicle, among others. 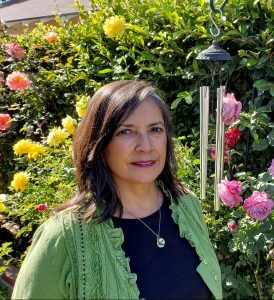 Her recent awards include a 2017 Residency at Kimmel Harding Nelson Center for the Arts and a 2016 Incite / Insight Award from the Arts Council for Long Beach for her work in the arts through Uptown Word & Arts where, as the director and founder, she promotes literacy and the arts. In all the creative writing classes I have participated in, the instructors served as a facilitator and guide; they shared their knowledge and background in order to inform us and broaden our experience. As a whole, students and instructor, we created our own community of writers. I lead my writing classes with this same spirit. Together, we will create an interactive, supportive, and safe community. We will respect the diverse voices and experiences of everyone who attends, learn from each other, share our ideas and creative spirits, and inspire and encourage one another to grow as writers. For me, this is what working with a group is all about. Writing is the central focus of all the writing courses I instruct. The format of my writing courses consists of discussion, peer workshops, readings by diverse authors, presentations on strategies for writing, and in-class writing exercises. Instructor Website: Click here to leave our website and go to liz’s website.